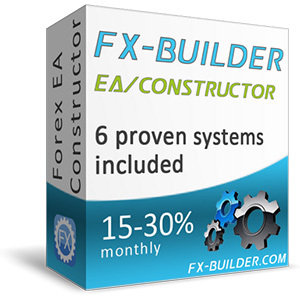 FX-Builder constructor has big potential. You can create a lot of strategies with different styles of trading like: scalpers, intraday, grid, with or without martingale, day or night, with or without indicators etc. This could help to diversify your trading risks. Why FX-Builder is better than other Advisors? We offer great advisors with different logics which recommended themselves as successfully ones on real trading since 2011 year and have backtests from 1999. But the most important is that all these advisors were created with the help of our very powerful tool FX-Builder, which comes in package with all systems. We are glad to give our clients the opportunity not just to create trading system and earn money on Forex market but also to sell their own developments which were made with the help of FX-Builder in our store. It is very easy to do. Special skills or programming knowledge are not required! More than 1 000 000 000 000 000 of possible combinations!!! Our refund policy is “30 days money back guarantee”. If you are not satisfied, please describe your good reason and we will return money back without any problems, but your FX-Builder copy will become unusable.